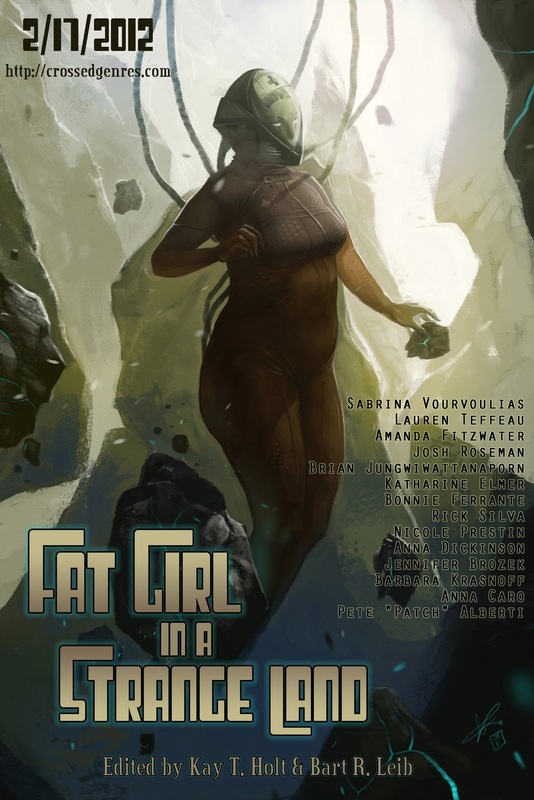 When I saw the call for the Fat Girl in a Strange Land anthology for Crossed Genres Publications, I knew I wanted to submit a story. When I see specific calls for anthologies or special issues of magazines, it can take me a while to warm up to the occasionally bizarre ideas editors are looking for. But not this time. So the next question became, how to do this call justice? There were two required elements: a fat, female protagonist and some sort of journey to a strange land (however conceived). The fat part I had no problem with. Though I am not considered overweight myself, many members in my extended family have dealt with obesity and other weight-related issues. So my familiarity the situations they’ve faced along with my experiences with the societal pressures any woman feels, I felt reasonably confident I could create a fat character and treat her with respect. The “strange land” part was trickier. What kind of story could I tell? It was going to be science fiction, I knew that much. Which means future. And when I think future, I honestly don’t think of fat. Because in the shiny future, we will have figured out all the nutritional and emotional and genetic triggers that make us fat and everyone will be healthy and beautiful and live forever… Well, at least I hope that’s how it goes. So the question then for me was why would people need to be fat the future? There had to be some benefit to being fat. Fat is essentially stored energy. 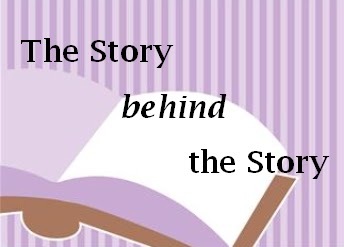 What if the people in my story needed an abundance of stored energy to do something? That became: what if they needed it for a mission they were going on? And of course, it had to be a mission to a “strange land.” A-ha. My character would be leading a terraforming mission to an icy, uninhabited planet, and the fat was necessary to not only keep her team warm but to also give them the energy they needed to work near constantly to keep the mission on schedule. Large orbital mirrors that will reflect sunlight and heat the Mars surface. Smashing ammonia-heavy asteroids into the planet to raise the greenhouse gas level. Greenhouse gas-producing factories to trap solar radiation. The scope of the first two methods was so overwhelming, I was uncomfortable using them. How could I keep this a story about a small team of people when they are building these massive mirrors or flinging asteroids (!) into planets? Plus the level of technical and scientific details made me nervous since I definitely don’t have a degree in astrophysics. The third one was most plausible, but I kept thinking how all three of these methods relied on introducing energy to the planet either via the sun or through asteroidal impact, not using the planet itself as a source of energy. Why not heat the planet up from the inside out instead of outside in? We all know about the power of greenhouse gasses. But even without our meddling, the earth would still produce CFCs and other gasses that heat up the atmosphere through natural processes like volcanic eruptions. And we get volcanoes and earthquakes along fault lines where tectonic plates rub up against one another.But although this is all well and fine for Earth, what about other planets? Did they have plate tectonics? Turns out they do (Plate Tectonics Determine Life on Other Planets and Plate tectonics on a planet far, far away), which was enough evidence for me to make my story’s team terraform the planet by inducing seismicity, culminating in volcanic eruptions that would belch greenhouse gasses into the atmosphere and ensure eventual warming of the planet. See Climatic Effects of Volcanic Eruptions and Volcanic Gasses and Their Effects for more info. Science in my Fiction also provides a nice overview of volcanoes, tectonics, and other geological considerations when writing about other planets, which would have been really handy if it came out before I submitted my story :). Oh, and how does one induce seismicity? That’s the easy part. Just look at fracking. The result is my story “The Tradeoff” in the Fat Girl in a Strange Land anthology that releases this Friday, February 17th. There’s currently a GoodReads giveaway if you are interested in getting your hands on a copy of the anthology. And stay tuned for next week, when I bring you an interview with anthology editors Kay T. Holt and Bart R. Leib.